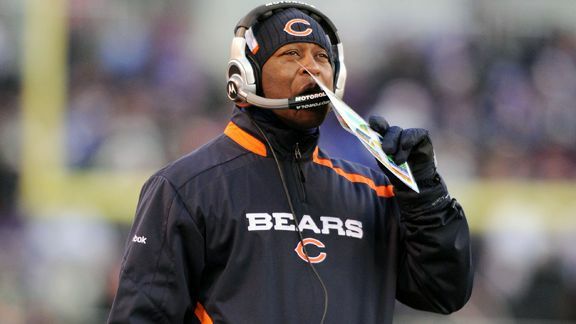 CHICAGO—Lovie Smith was living it all up in the 2006-07 NFL season. 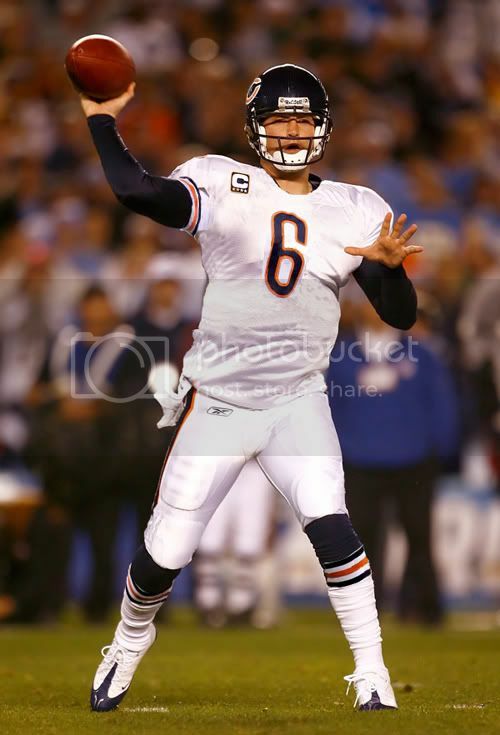 After struggling in 2004, Smith helped build the Bears up behind Rex Grossman, Thomas Jones, Brian Urlacher, Lance Briggs, and company to the playoffs the next year. They would, however, fall to the Carolina Panthers. The next year, Chicago went on a undefeated run, finishing the season at the top of the NFC. Smith would wound up in the Super Bowl after blowing out the New Orleans Saints in the conference championship. At that point, the Bears knew they hired a good coach. Smith would be the first black coach, alongside with Tony Dungy, to be in the Super Bowl. It had been since the magical 1985 season that the Bears have been in the big game. However, the Bears lost with the sloppy performance of Grossman, and blowing their early first-half lead to Dungy’s Indianapolis Colts, 29-17. The Bears would finish 7-9 the next year, but Smith would still keep his job secure. For almost the past decade, the Super Bowl losing-teams would fail the next year. I guess the Bears’ staff went with the stereotype. Chicago would improve the next year, finishing 9-7, but they fell short of the playoffs. The Bears made a quick move after a quarterback-troubles by searching around with Brian Griese, Rex Grossman, Kyle Orton, etc. Then they made a big move, to hopefully make sure they are lock for the playoffs the next season. They traded for disgruntled Denver Broncos’ quarterback, Jay Cutler. Cutler was acting like a crybaby, and the Broncos weren’t very successful the previous season as it was just Cutler and Brandon Marshall leading the offense, basically. However, Cutler got his wish and got traded. The Bears were happy with this move and expected success out of this. So did Lovie Smith. His job was depending on it. But the Bears struggled, finishing third in the NFC North division behind the Minnesota Vikings and Green Bay Packers. With a 7-9 record, it was rather disappointing. But when you really think about it, they were just weak. Cutler had no support whatsoever. Matt Forte, who had a fabulous rookie year, was a disappointment in his sophomore season; having what is known as the “sophomore slump.” The Bears also didn’t have any experienced receivers that could help. It was just Devin Hester, Johnny Knox, and Rashied Davis. Along with that, they didn’t have the heart of their defense in Brain Urlacher. Now entering the 2010-11 season, Lovie Smith is really on the hot seat. He is right on the bubble. The Bears should have no excuses were for failing next year. The least the Bears can expect are making the playoffs, and that is final. In fact, the staff told ESPN.com Chicago that’s what they need in order for Smith to keep his job secure. But it still could be tough with the Vikings and Packers there, along with the Lions clinging behind. But Chicago made some good moves in the off-season, cashing in Julius Peppers and Chester Taylor to help out the team. Urlacher will also be returning and there is also Briggs in mind alongside with him in the linebacking corps. There is also hope in the receiving corps, with Knox and Hester improving. Along with that, a player emerged and his name is Devin Aromashodu. Aromashodu played solid towards the ending of the season and will be starting with Hester. He will be a great end zone threat. However, things couldn’t go all that solid. Many though the same thing last season. But there are many improvements to also keep in mind. Matt Forte is going to expect a bigger and better season now, along with the help of Taylor signing, too. There is also Mike Martz who got signed with the coaching staff. As it stands to many expert, Chicago is in the bottom of the NFL Power Rankings for Week One. 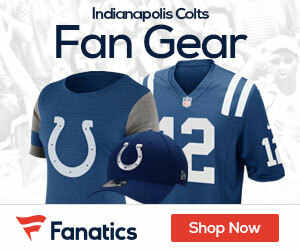 ESPN.com and their experts put Chi-Town at 21, saying they aren’t buying into the Martz-Cutler marriage. The Bears could improve, but Smith is going to be the key and he has to lead Chicago to the playoffs. Cutler will also have to be strongly improved. The Bears did play pretty decent in the pre-season and it brings hope for the regular season, as it comes underway this week. Many fans are anticipated of what is to come. So is Phillips. The Bears have to make the playoffs. It’s just that simple. Lovie Smith’s job is determined on that.